WS & SJ Morrell is a family owned and operated boutique building business located in Murray Bridge. We offer a fully personalised home construction service. The person you speak to on your initial call to express interest is the same person you liaise with through every stage of the process, from planning and obtaining permits to practical completion. Whilst we have house plans available if desired we also specialize in designing your ideas for a unique home. Thus resulting in fully customised house plans. “We have built three houses with WS & SJ Morrell. Shawn is very easy to deal with and upfront about all costs so there are no surprises. Shawn is very organised and has a great group of tradies that all work in well together which allows fast build times. Even with a fast build time the finished product is of a very high standard. “Shawn Morrell was first recommended to us when we wanted a new office for our business, Shawn’s staff in all area’s were friendly, approachable, reliable and helpful. They built on time, impeccable work, and after sale’s service was excellent. My new home turned out better than I imagined. I love the changes Shawn suggested I make to my initial plan and the house is now perfect for its location. The quality of work is excellent and they delivered in less than the estimated time. I would definitely recommend WS & SJ Morrell to build your new home. Just moved into your new Morrell home? Let your friends & family know! 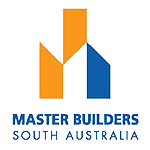 WS & SJ Morrell are fully licensed & accredited builders, who have been in the industry since 1991.